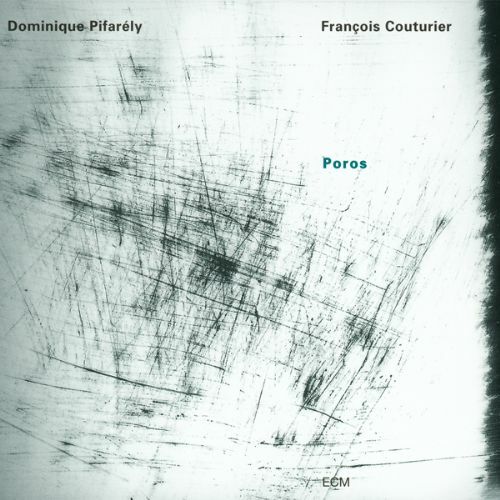 Dominique Pifarély—violinist and former co-leader of clarinetist Louis Sclavis’s acclaimed Acoustic Quartet—and pianist François Couturier—who since Anouar Brahem’s Khomsa has recorded a string of varied albums for ECM—team up for this unique collaboration. The resulting admixture of folk and modern classical influences finds the duo charting waters that might have otherwise remained glassy and still without the cut of their oars. The image is no mere metaphor, for the album’s title comes from French philosopher Sarah Kofman, who characterizes the concept in precisely these oceanic terms: a path through aquatic expanse that is just as vulnerable to erasure as it is to discovery. Its trailblazing implications rest on a blade of uncertainty, and therein lies their beauty. One might be hard-pressed, however, to read any of this into the music in the absence of such a setup. The listener is instead confronted with a tantalizing, if restless, chain of events. “Trois images” awakens in a fit of pique, only to realize that the object of its scorn has already fallen away like the house of cards that is any dream. The musicians seem to run frantically trying to rebuild it before it gives up the ghost of reality. In other pieces like “Retours,” “Vertigo,” and the title piece we encounter an even more gnarled grammar. It is a dialectical assemblage of action and thought, of secrecy and exposition. The album is a constellation of references whose stars belie hues of the French modernists, free improvisation, and Bartók, among others. We therefore never rest for too long on one idea. The occasional locks stand out for their beauty, only to drown in a sea of cat cries prancing into blackout. What with the bubbling streams of “Labyrintus” and the grinding gears of “La nuit ravie” there is far more going on below and within, locked away behind a shell of almost ritual design. Pifarély brings the occasional jazzy inflection to the arc of his swing, most notably in Mal Waldron’s “Warm Canto” (from his 1961 album, The Quest), in which he blends tiptoeing pizzicato into explosive resonant chords in a chromatic whirlwind. “Gala” offers a pileated ending. As on the album’s cover, the duo crosshatches incidentals in a knitted bruise. Pifarély trembles with the motion of a leaf obsessed with the fear of falling. His attention to detail and the precision of his agitations are thus remarkable. Couturier’s intricate astrology calls strangely from below, goading that leaf into decomposition. Only then do we see that the forest has been there all along, tilting, spinning, blurring into a looming mask of greens and browns. Traction is hard to come by, paths invisible. Our mind becomes the score, the stand on which its pages are turned, the sound dying to be released from within it. In thinking we believe, and in believing we know.